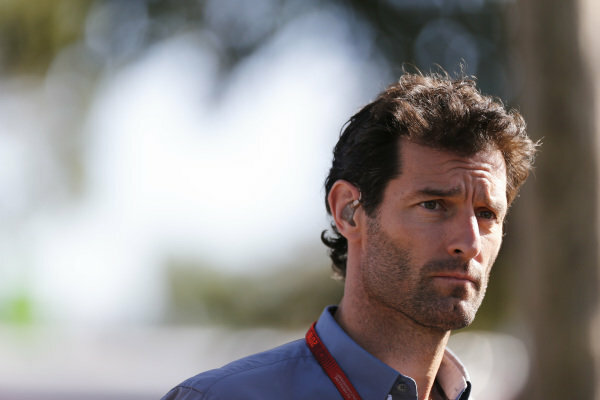 Mark Webber (AUS) Porsche WEC Team at Formula One World Championship, Rd1, Australian Grand Prix, Race, Albert Park, Melbourne, Australia, Sunday 20 March 2016. 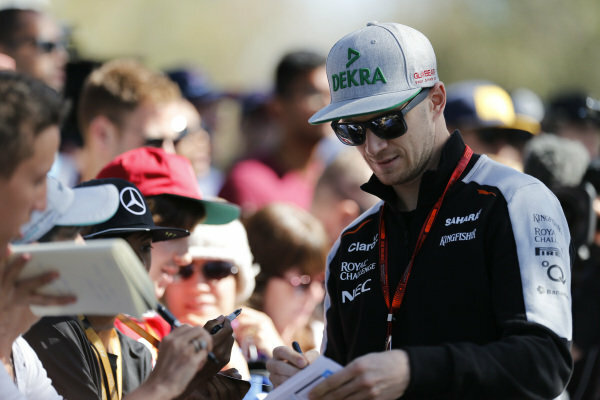 Nico Hulkenberg (GER) Force India F1 signs autographs for the fans at Formula One World Championship, Rd1, Australian Grand Prix, Race, Albert Park, Melbourne, Australia, Sunday 20 March 2016. 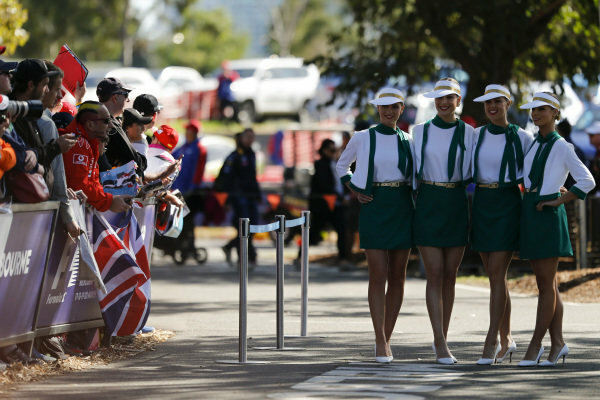 Rolex girls at Formula One World Championship, Rd1, Australian Grand Prix, Race, Albert Park, Melbourne, Australia, Sunday 20 March 2016. 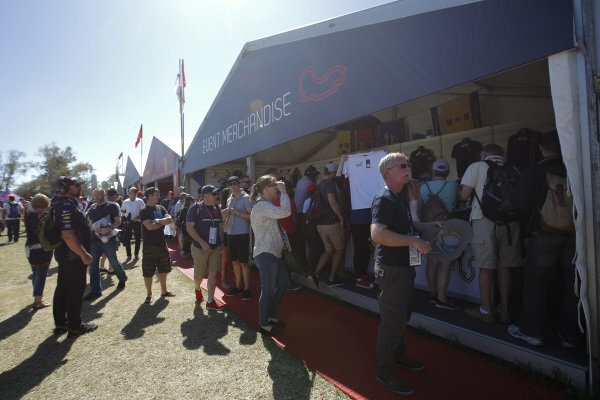 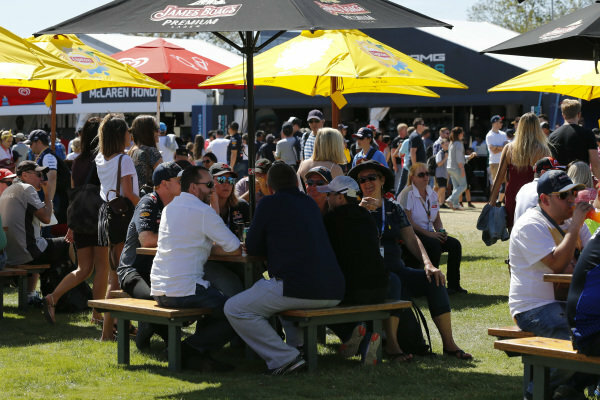 Rolex girls shoes at Formula One World Championship, Rd1, Australian Grand Prix, Race, Albert Park, Melbourne, Australia, Sunday 20 March 2016. 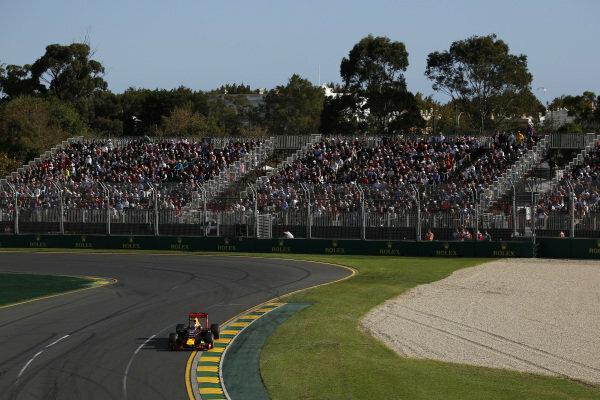 Fans and atmosphere at Formula One World Championship, Rd1, Australian Grand Prix, Race, Albert Park, Melbourne, Australia, Sunday 20 March 2016. 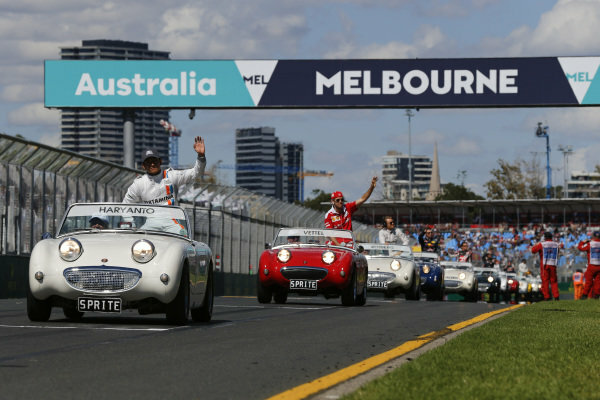 Rio Haryanto (IDN) Manor Racing on the drivers parade at Formula One World Championship, Rd1, Australian Grand Prix, Race, Albert Park, Melbourne, Australia, Sunday 20 March 2016. 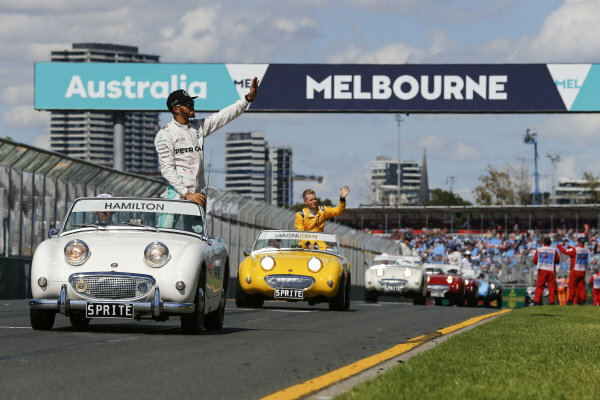 Lewis Hamilton (GBR) Mercedes AMG F1 at the drivers parade at Formula One World Championship, Rd1, Australian Grand Prix, Race, Albert Park, Melbourne, Australia, Sunday 20 March 2016. 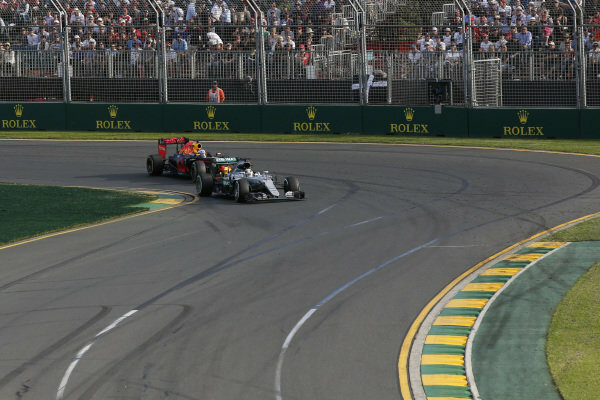 The McLaren MP4-31 of Fernando Alonso (ESP) at Formula One World Championship, Rd1, Australian Grand Prix, Race, Albert Park, Melbourne, Australia, Sunday 20 March 2016. 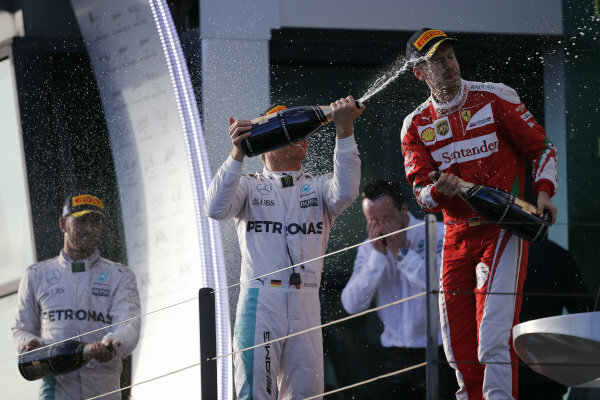 Race winner Nico Rosberg (GER) Mercedes AMG F1, Lewis Hamilton (GBR) Mercedes AMG F1 and Sebastian Vettel (GER) Ferrari celebrate with champagne on the podium at Formula One World Championship, Rd1, Australian Grand Prix, Race, Albert Park, Melbourne, Australia, Sunday 20 March 2016. 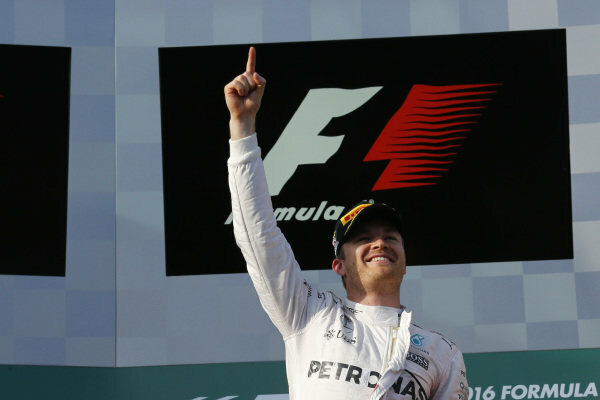 Race winner Nico Rosberg (GER) Mercedes AMG F1 celebrates on the podium at Formula One World Championship, Rd1, Australian Grand Prix, Race, Albert Park, Melbourne, Australia, Sunday 20 March 2016. 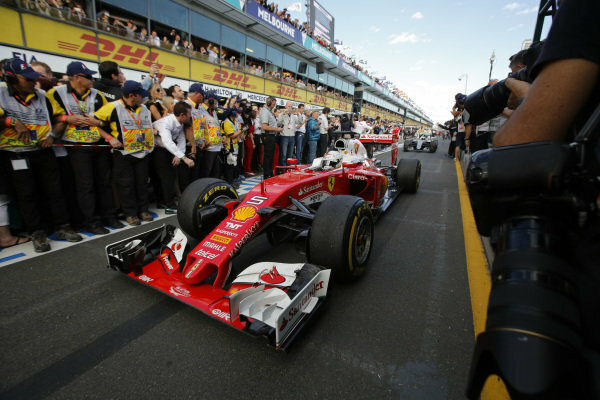 Sebastian Vettel (GER) Ferrari SF16-H celebrates in Parc ferme at Formula One World Championship, Rd1, Australian Grand Prix, Race, Albert Park, Melbourne, Australia, Sunday 20 March 2016. 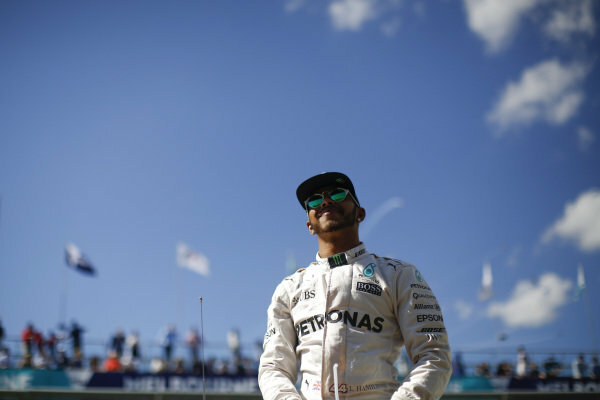 Lewis Hamilton (GBR) Mercedes-Benz F1 W07 Hybrid at Formula One World Championship, Rd1, Australian Grand Prix, Race, Albert Park, Melbourne, Australia, Sunday 20 March 2016. 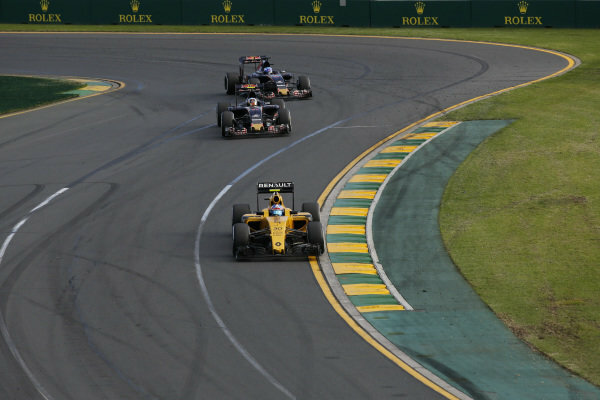 Jolyon Palmer (GBR) Renault Sport F1 Team RS16 at Formula One World Championship, Rd1, Australian Grand Prix, Race, Albert Park, Melbourne, Australia, Sunday 20 March 2016. 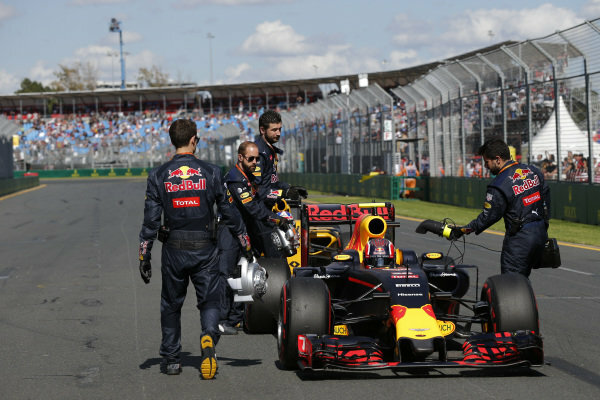 Daniel Ricciardo (AUS) Red Bull Racing RB12 at Formula One World Championship, Rd1, Australian Grand Prix, Race, Albert Park, Melbourne, Australia, Sunday 20 March 2016. 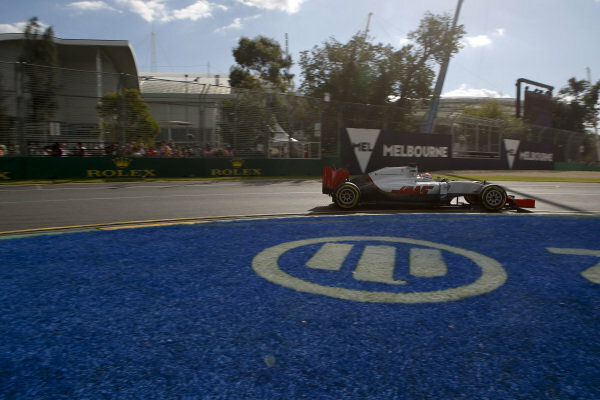 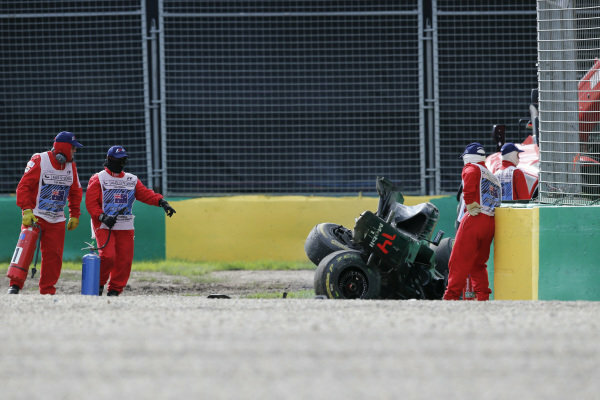 Romain Grosjean (FRA) Haas VF-16 at Formula One World Championship, Rd1, Australian Grand Prix, Race, Albert Park, Melbourne, Australia, Sunday 20 March 2016. 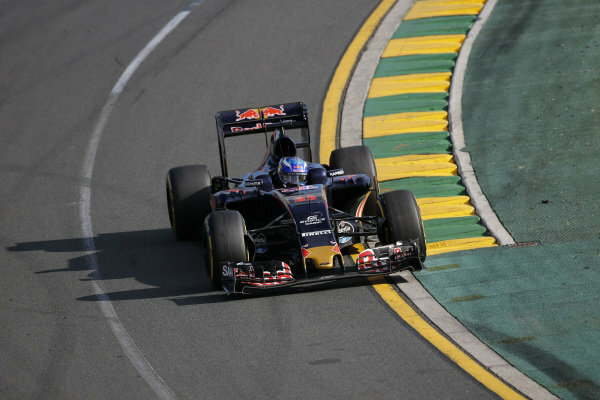 Daniil Kvyat (RUS) Red Bull Racing RB12 on the grid at Formula One World Championship, Rd1, Australian Grand Prix, Race, Albert Park, Melbourne, Australia, Sunday 20 March 2016. 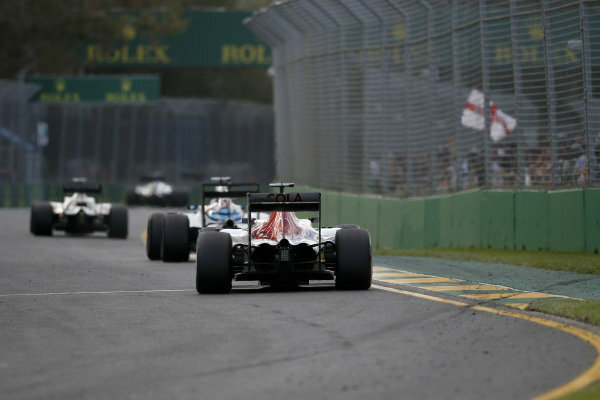 Carlos Sainz jr (ESP) Scuderia Toro Rosso STR11 at Formula One World Championship, Rd1, Australian Grand Prix, Race, Albert Park, Melbourne, Australia, Sunday 20 March 2016. 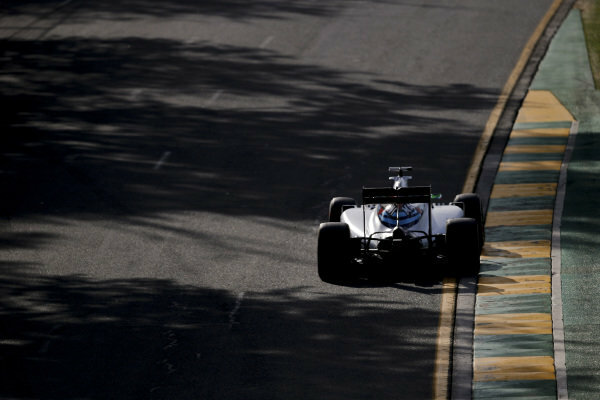 Felipe Massa (BRA) Williams FW38 at Formula One World Championship, Rd1, Australian Grand Prix, Race, Albert Park, Melbourne, Australia, Sunday 20 March 2016. 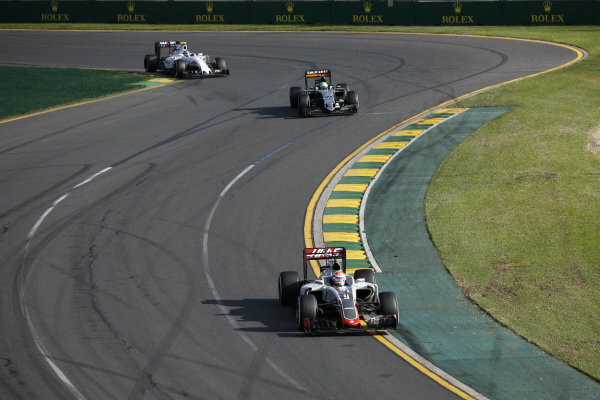 Max Verstappen (NDL) Scuderia Toro Rosso STR11 at Formula One World Championship, Rd1, Australian Grand Prix, Race, Albert Park, Melbourne, Australia, Sunday 20 March 2016. 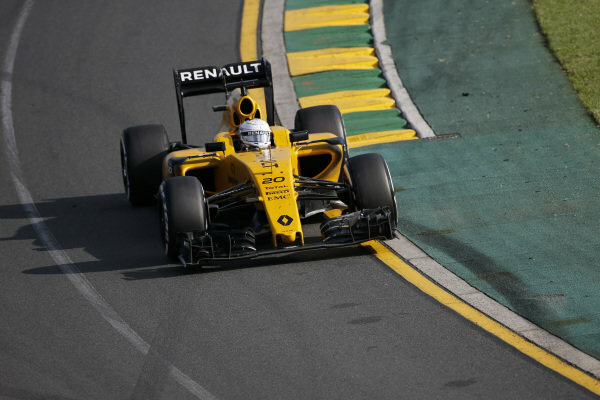 Kevin Magnussen (DEN) Renault Sport F1 Team RS16 at Formula One World Championship, Rd1, Australian Grand Prix, Race, Albert Park, Melbourne, Australia, Sunday 20 March 2016. 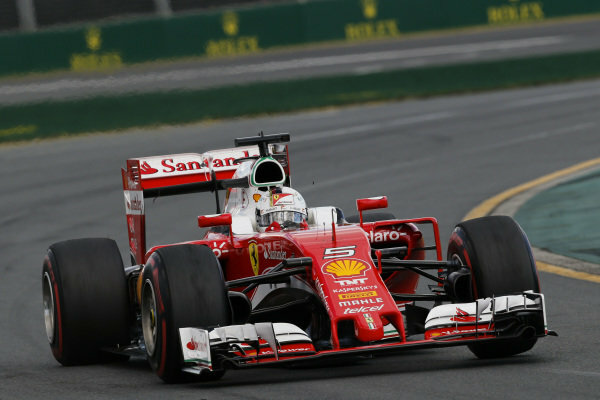 Sebastian Vettel (GER) Ferrari SF16-H at Formula One World Championship, Rd1, Australian Grand Prix, Race, Albert Park, Melbourne, Australia, Sunday 20 March 2016.